TEPAV was established by a group of businessman, bureaucrats and academicians for the purposes of conducting data-based policy analysis and policy making contributions. TEPAV became operational on December 2004 with the goal of enriching the content of information/data in ideological discussions and arguments. In addition to improving policy proposals, we help our ideas come to life through concrete projects. We are strictly pursue the highest in ethical and academic standards. We produce vigorous, data-driven analysis and contribute a technical outlook to our fields of study. In this sense, the most important quality setting TEPAV aside from many other think tanks being established in Turkey is its full-time staff and the importance it attributes to program-based capacity building. As a think tank that has conducted projects 49 of Turkey's provinces and 21 countries across the world, we maintain a deep and wide-ranging network. Owing to our Constitution Platform Project in 2012, we were selected as one of the best 3 think tanks in Europe by the Think Tank Oscars in 2014, held by Spectator magazine in the UK. This year, we ranked among the top 40 think tanks operating in the fields of foreign policy and international relations in the World Think Tank list published by The University of Pennsylvania. 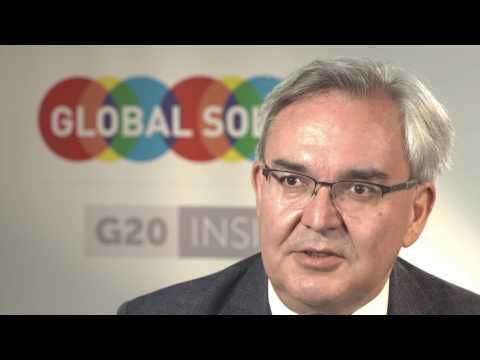 In 2015, when Turkey assumed the G20’s Presidency, TEPAV was given the leadership role in the "think 20" (T20) outreach group. TEPAV staff also provided content for "Business 20," led by the Chambers of Commerce and Commodity Exchanges of Turkey (TOBB.) TEPAV staff was instrumental in bringing about a successful Turkish presidency. In line with the target of "inclusiveness" in Turkey's presidency, TEPAV organized a total of 12 conferences in T20 member and non-member countries, a first in the T20’s history. With its 13 years of experience, TEPAV operates based on an organizational matrix consisting of four main programs and six centers. Our programs consist of fields in which we have developed in-house expertise. Our centers conduct studies on their cross-cutting areas and provide analytical support to the main programs. This program focuses on the reforms needed to assure the continuing growth of Turkey's economy. It undertakes data-driven policy analysis and produces policy notes on important issues of the day. Additionally, the program conducts studies on macroeconomic impact of mega trends such as climate change, sustainable development etc. This program analyzes the global technological transformation, industrial policy and innovation ecosystem that are rapidly shaping the World economy. In this context, the Innovation Studies Program, taking the transfer and diffusion of new technologies to its focal point, conducts studies for different components of the innovation ecosystem. The incentive mechanism, education system and relevant legislative regulations with regards to the innovation ecosystem and investment environment, as well as different actors such as the public, research institutions and companies in the ecosystem fall within the scope of this program. Given this background, the program therefore conducts global analysis and policy improvement studies by following the world agenda, and also if required, contributes by carrying out studies and projects on countries in the region as well as Turkey’s transformation process. More than half of the World’s population lives in cities. With regards, cities have been taking on a greater role in global economic competition. This program aims to contribute to the transformation of these hubs into sustainable, competitive places with a high quality of living. With this in mind, the program undertakes work with the intend of rationalizing power sharing between the center and the periphery, for the improvement of the quality of urban management and for the utilization of new industrial policy means directed towards the improvement of cities. Furthermore, it analyzes the relation between the process of economic growth and venue management. The 20th century has witnessed the accession of East Asia to globalization by undergoing serious infrastructural transformations. The 21st century promises to be an era in which Central Asia, the Middle East and African will follow. The Area Studies Program follows the economic, social, political and cultural processes of Turkey and its environment to make sense of these developments. The aim of the Center is to provide support for the application of contemporary research methods, especially in studies of policy evaluation and impact assessment. To this end, the Center follows the recent developments in applied econometrics and behavioral economics, and conducts impact assessment studies in a variety of areas. The Center for Multilateral Trade is the pioneering center established in Turkey to follow the developments in the “rule based global trading” system focusing particularly on the World Trade Organization, created an international network with related think-tanks, centers and academic institutions and engaged in joint activities and publications with them. The Center studies the ever diverging structure of the global trade, the ongoing negotiations in the WTO as well focus on the regional partnership agreements often cited as “games changers”, such as TTIP and TPP. The Center at the same carries studies on the Customs Union (CU) with the European Union from the trade perspective and participates in the work to deepen the CU. The Legal Studies Center endeavors to create a roadmap which could be used during a reform process to overhaul the Turkish legal system. The Center designs and carries out projects which aim at analyzing the problems deriving from Turkey's current legal system and proposing working solutions for these. TEPAV, conducting several research and studies pertaining to the EU, has launched Center for European Union Studies that focuses on the EU accession process, contributes to the acceleration of the reforms and negotiation process, and communicates the results of the studies to EU and Turkish public. TEPAV Center for Governance Studies, is conducting studies to improve the capacity of central and local administrations and institutionalize good governance to render the development sustainable. Studies concentrate on themes like “managerial effectiveness in public sector”, “anti-corruption”, “participation” and pursued through activities like symposiums, projects and analytical works. 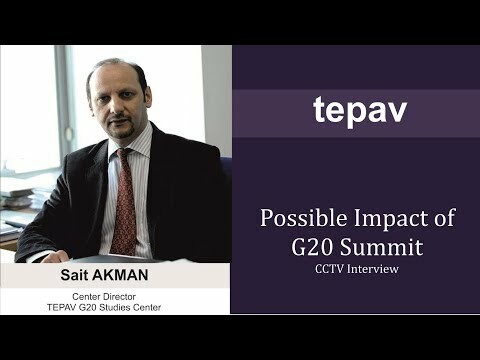 TEPAV G20 Studies Center was established prior to Turkey’s Presidency in G20, in order to counter the need for a specialized agency and a research center about G20 and global governance issues. The Centre also served as the term president and coordinating body for the outreach group of leading global think-tanks (T20), a prominent G20 engagement group, in 2015. The Centre, organizes activities by means of international cooperation to boost public awareness in ongoing G20 developments, and to bring analytical depth in related matters.